The authors, Colleen & Scott Schechter, live in Boonton with their two daughters and have been members of the OLMC school community since 2007. The good news is that we did not listen to these naysayers and remained committed to our desire to raise our children in the Catholic faith at OLMC. 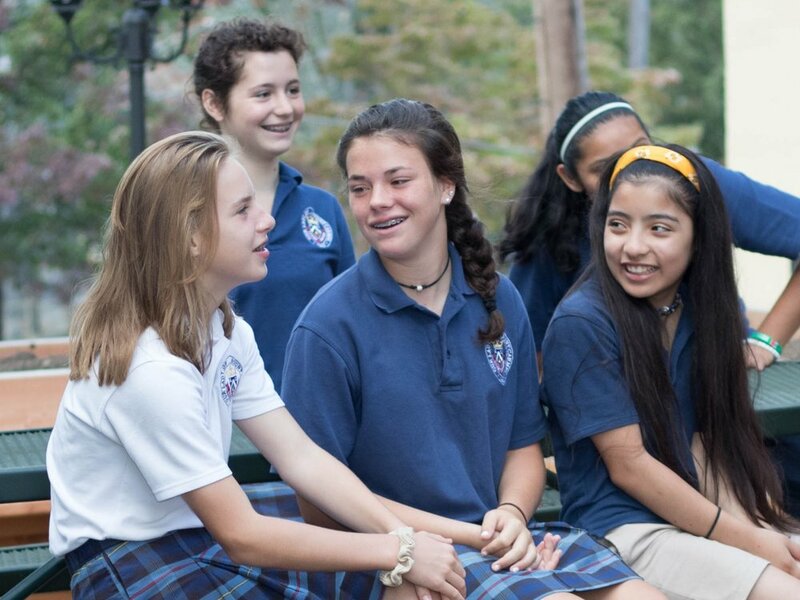 Where you decide to send your child to school is an important, personal, family decision; for us, OLMC was not only our first choice, it turned out to be the best choice. It is a bittersweet time for us now as our youngest daughter, Faith, is finishing her eighth-grade journey and closing a chapter in our lives that started back in 2007. We will be sorry to leave OLMC School, but we can unequivocally state that our time there has enriched us all in body, mind, and spirit. With the experience now (almost) behind us, the gift of hindsight allows us to look back and answer those challenging questions with a deeper understanding of what makes OLMC different. 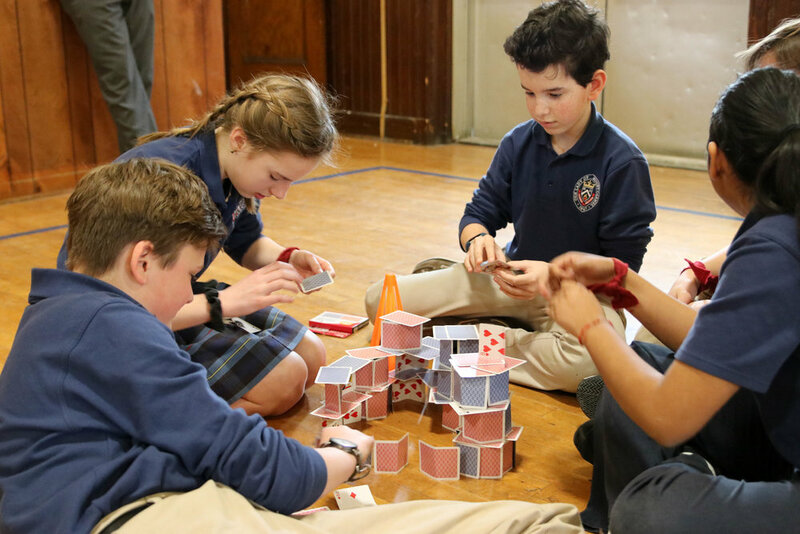 To the first question, while there are indeed Catholic schools closing in our diocese and across the country, we have experienced a revitalization that is nothing short of a rebirth at OLMC. Mr. Minson and Father Daniel are so passionate about the Classical liberal-arts curriculum that they have introduced and have developed such an outstanding support team of faculty and administration. It is no surprise that we are not only maintaining enrollment but reaching new levels of organic growth. There is a healthy glow surrounding the school, replete with studying, singing, introspection, prayer, and purpose. While we will not be there to experience it personally, we are truly excited about what the future holds for OLMC students; we know it will be amazing. How well prepared is Faith at this point for high school and beyond? We know that thanks to OLMC she is poised to accomplish great things. We’ve noticed a trend over the last several years that the discussion around education in the media and beyond can focus on test scores or STEM. But we know that education is about a lot more than this. OLMC has given Faith strong foundational tools such as inquisitiveness, discovery, reasoning, and spiritual guidance so that she will be successful in whatever she does. Full disclosure: We did not actively search for a Classical curriculum; it came to us when Mr. Minson joined our school family. And while we still may not be true experts on the Classical approach, we can tell you that Faith has never been more challenged and more prepared to take advantage of her intellectual capabilities. Thanks to OLMC, her experience consists of rigorous philosophical discussions, learning intricate German melodies, sophisticated Latin grammar and translation, and rapidly progressing through Algebra. What more could we ask for? We knew that the Classical curriculum would be the right fit for us when just a few months after it was introduced, Faith (who was in sixth grade at the time) and our older daughter who was a freshman in high school, started having a debate about Oedipus Rex. That spoke volumes to us about an approach to education that was so much more than working through standardized text books. Did Faith miss out on STEM education? After all, OLMC is committed to timeless education, and students have very little academic “screen time.” Well, just recently one diocesan high school recruited Faith for their STEM program and another offered her a merit scholarship and placement into one of their science academies. While we are certainly proud of her achievements, we are also cognizant of the role OLMC played in her success. When the question arises about the cost, and if the value of a Catholic education is worth the investment, there are both tangible and intangible returns we’ve experienced. Most obvious is the aforementioned scholarship that, while not something we were actively pursuing, demonstrated that hard work and the right guidance can pay off monetarily. But more importantly, Faith will leave OLMC with a positive outlook, a deeper understanding of what it means to be Catholic, and a community that supports and prays for her from graduation forward. When looking to summarize our OLMC experience, we came upon a quote from Pope John Paul II which captures our sentiments: “Catholic education aims not only to communicate facts but also to transmit a coherent, comprehensive vision of life, in the conviction that the truths contained in that vision liberate students in the most profound meaning of human freedom.” We’re thankful that OLMC provided nothing less. Good luck and God’s blessings to all OLMC families.